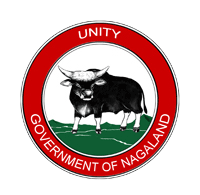 The SCERT, Nagaland has also organized the 2nd Edition of the State Level Spelling Bee and Extempore & Elocution Competition for the student of Class 8- 12. The 1st position in Spelling Bee was bagged by the Model Higher Secondary School, Kohima and Kohima Science College and Queen Mary’s Hr. Sec. School; Mokokchung bagged the Championships in the Elocution and Extempore speech respectively.